During the recent Thanksgiving week as church members and I were in our church parking lot preparing boxes of food for needy families throughout Los Angeles, I looked out over the fog-covered San Fernando Valley below and saw the distant and majestic snow-capped peaks of the Hopper Mountain Wildlife Refuge to the north west and the Angeles National Forest to the north east. Those mountaintops and the San Fernando Valley are constant reminders for me of our spiritual journey during which we encounter mountaintop experiences of joy, victories, and celebrations that are often followed by spiritual valleys of deep discouragement, hardship, and failure. As in Psalm 23:4, the valley has come to represent the spiritually dark, harsh, sometimes dangerous places of life in which we experience failure, danger, defeat, despair, and depression, and where death is sometimes just a breath or a decision away. I’ve journeyed through several of those valleys, the most difficult one in the early 1980s when I was out of work for 23 months and was almost homeless. In the midst of the ensuing depression, death seemed very inviting. But like many Bible figures going through their own dark valleys, it was my willingness to cry out to God in my despair and to hang on to his promises found in his holy Scriptures that saved me from giving in to despair. Most importantly, it was God’s promise that he would not leave or forsake any of us that kept me going one day at a time. These Bible characters, for example – Joseph (Genesis 37-50), Moses (Exodus through Deuteronomy), Joshua (Joshua 1-24), David (I Samuel16-I Kings 2; Job (Job 1-42), Daniel, Shadrach, Meshach, and Abednego (Daniel 1-12, especially chapters 3 and 6) – always turned to God in their crises and held on to God’s promises. Mountaintop experiences are few and far between on our spiritual journey. Most of the time we live on spiritual plains where things are normal with every-day experiences. It’s here that we are content to go through our routines with few ups and downs. It’s here that we are safe in our comfort zones. But every now and then our lives are suddenly interrupted with an unplanned crisis along our journey—sickness, death, unemployment, divorce, loneliness, abandonment, or some other unwanted event, some so severe that we wonder if we’ll ever survive. 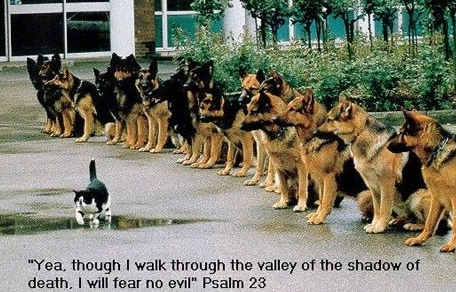 This is the dark Valley of Psalm 23:4! Yet it is in the Valley that we have the opportunity to grow spiritually and be strengthened for life’s arduous journey ahead, for it is here that our self-reliance is likely to fail us and, like David, we have to rely on God to protect and guide us through the dark days. Whether this Valley breaks us, embitters us, and defeats us, or whether it transforms and strengthens us to meet the challenges and become well-adjusted survivors of the crises, depends on how willing we are to seek God with all our heart throughout the whole Valley experience. Some of us give up in despair if God doesn’t rescue us quickly, and we end up being bitter or angry with God. Some stop believing in him. Sadly, some take their own lives if they cannot find their way out of the Valley. But we can be sustained, comforted, and strengthened during our Valley sojourn by relying completely on God through our fellowship with Jesus Christ and by being nourished through the daily study of Scripture and prayer. And it helps to have a community of caring Christians who love and support us through our travail. Now, you might be thinking, Come on! How can we be glad or joyful when we are in the midst of suffering and trials? 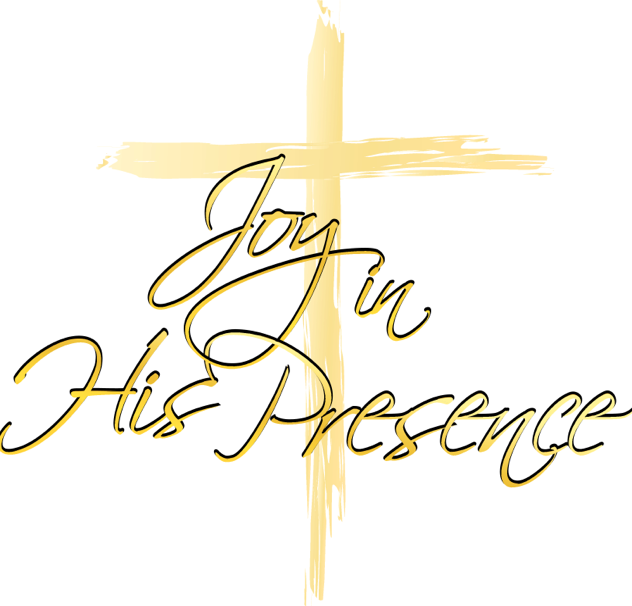 As someone who has gone through the Valley at various times in my six decades of life, I can testify to the fact that it is in the midst of the pain, tears, brokenness, and despair that we can experience a very special, deep fellowship with the living Christ, and it is he who blesses us with his joy and peace—and it is for this that we can be glad and rejoice! Dear brothers and sisters, whenever trouble comes your way, let it be an opportunity for joy. For when your faith is tested, your endurance has a chance to grow. So let it grow, for when your endurance is fully developed, you will be strong in character and ready for anything. We can rejoice, too, when we run into problems and trials, for we know that they are good for us—they help us to endure. And endurance develops strength of character in us, and character strengthens our confident expectation of salvation. And this expectation will not disappoint us. For we know how dearly God loves us, because he has given us the Holy Spirit to fill our hearts with his love.